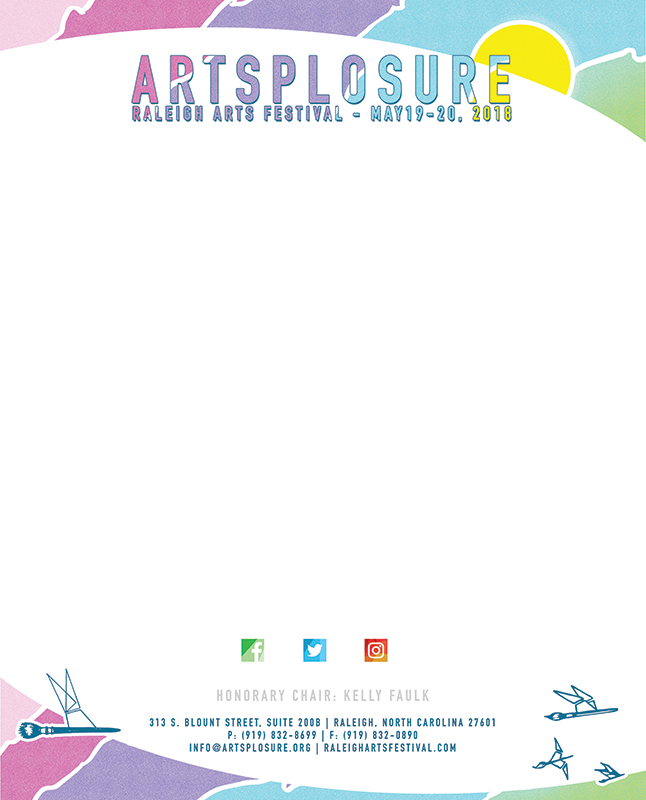 I had the unique opportunity to design all of the branding materials for Raleigh's arts festival, Artsplosure. 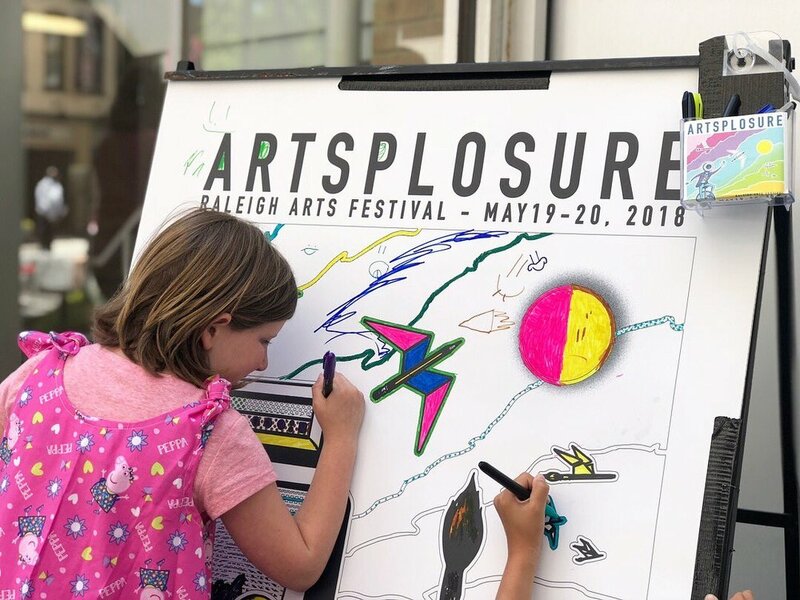 It was a pleasure hand illustrating this work and ultimately teaming up with Raleigh Mural Project and Artsplosure to create oversized, black and white prints for kids and adults to color in and having the pieces on display at the festival. Full branding package included: posters, print and web advertisements, letter head, custom envelopes, festival program, postcards, bus advertisement, stickers, t-shirts, tote bags, phone app assets, social media assets, screen prints posters and more.